EMI may not be visible, but it can be heard while a signal passes through a circuit. Reducing noise is important in certain workplaces to limit distractions. Here are key reasons why ferrite beads are important electronic components, how they help reduce noise and the factors that affect specific choices for ferrite beads. Ferrite beads, just like many other electronic components, can be mysterious until you understand why they are useful. In this case they reduce interference and also serve the purpose of lessen high-frequency signals in electronic components. It’s imperative to avoid amperages that exceed the manual’s specifications because it may cause over-heating, which will damage the equipment. Rated current alters impedance and slows down while the temperature heats up. The key is to look at the electromagnetic and changing effects of ferrite beads. It’s essential to choose the right ferrite beads or it can lead to circuit board damage. Impedance raises in one thin band while the parastic capacitance above it regulates the current and quickly lowers high-frequency impedance. Unlike wideband low-pass filters, ferrite beads can block a selected range of frequencies. It’s helpful to check with the manufacturer and request an impedance vs. load current curves for the bead. Due to the proliferation of circuits that use voltages as low as 2V, it’s important for such circuits to avoid voltage drops. Ferrites are made of materials that resist high frequencies. Ultimately, their impact depends on temperature and load current. 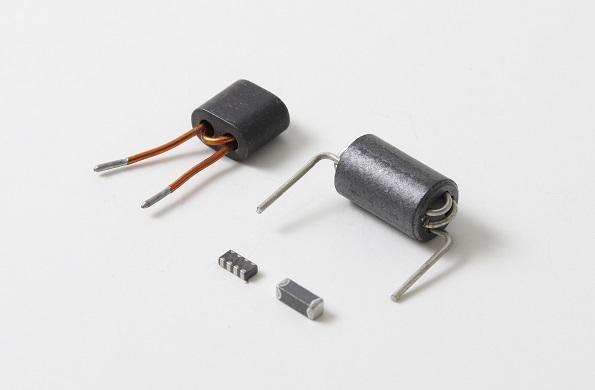 Heat and voltage drop are the two primary factors to keep in mind when deciding on a particular ferrite bead.